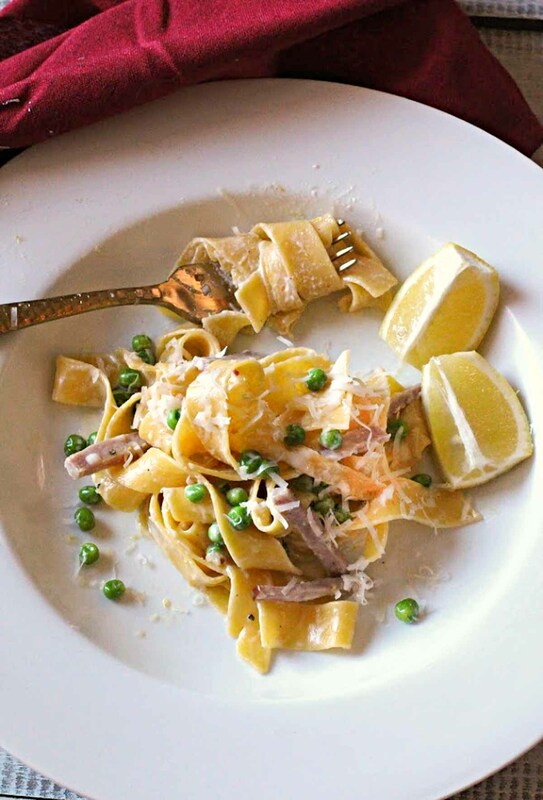 Pasta with Lemon Cream Sauce, (Pappardelle al Limone) is made even more delicious by adding peas and slices of ham. A beautiful spring pasta dish that’s so special in flavor that you’ll want to make it over and over. Perfect for entertaining, pappardelle noodles are drenched in a lemon cream sauce that will have you savoring every single creamy bite. Think outside the jar. Leave those jarred pasta sauces on that grocery shelf and give this lemon cream sauce a try. Twisting the lid off a jar of any flavor of pasta sauce seems so attractive, but really, it tastes like you twisted off a lid to a jar of pasta sauce. All you need for this beautiful creamy sauce is a skillet, diced garlic, cream and lemon zest. A hands-off simmer of about twenty minutes and this sauce is ready to receive cooked pasta. While the pasta is simmering, you can slice your ham, dig around in the freezer for frozen peas, and bring that pot of water to a boil to cook the pasta. It’s so easy you hardly have to set down your glass of wine. With a quick stir, this pasta with lemon cream sauce is easy enough for a weeknight dinner and classy enough to serve for a dinner party. This pasta dish is a great way to use leftover ham. I’m picky about ham, however. Some can be overwhelmingly salty, which won’t work as well with this delicate fresh-flavored lemon sauce. I like low sodium Kentucky Legend ham steak from King Soopers. I’ve also used a variety of ham steak brands from Whole Foods and have been very pleased with the flavor. And, of course, a honey baked ham would send this over the top. The peas need no introduction or warnings nor worrying over. Straight from the freezer, their dependable sweet flavor will blend effortlessly with this dish. Don’t we all have a weakness for peas and pasta? If you’re in the mood for a creamy delectable pasta entree, this one could be your go to recipe. 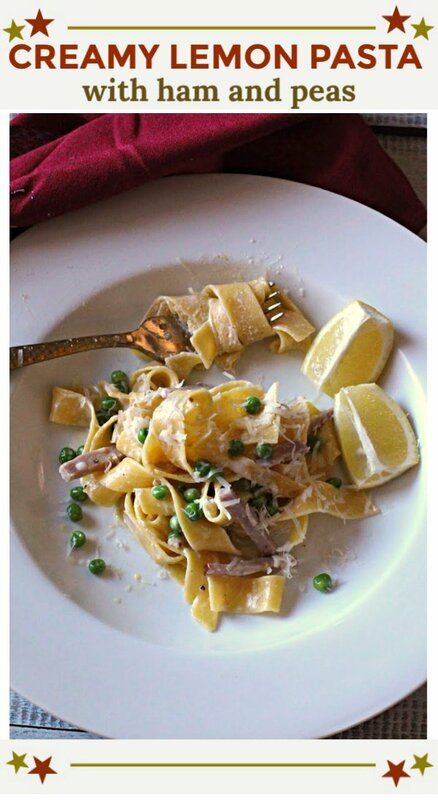 I hope you give this Pasta al Limone recipe a try. And if you do, please come back and give the recipe a star rating. And leave a comment about your experience with the recipe. This recipe calls for heavy cream. I didn’t have enough cream on hand last time I made it, so used 1 cup cream and 1 cup whole milk. That makes half and half and you bet it worked fine. 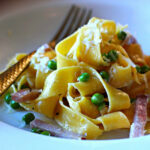 I love using pappardelle pasta for this recipe. Pappardelle is a wide, flat, ribbon noodle that is traditionally served with rich heavy sauces. It’s sturdiness will even hold up to under sauces that are heavy with stew or roasts. For this dish, it brings a dramatic and elegant flair to the lemon cream sauce. And if you have a recipe using pappardelle pasta, let me know, I’d love to give it a try. 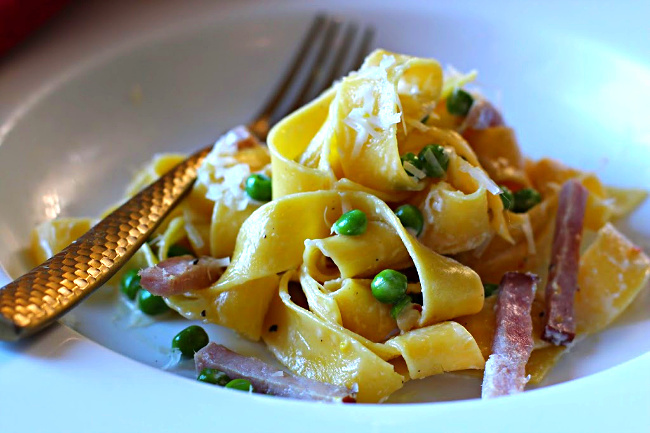 Pasta with Lemon Creme Sauce, ( Pappardelle al Limone ) is made even more delicious by adding slices of ham and peas. A beautiful spring pasta dish that's so special in flavor that you'll want to make it over and over. Perfect for entertaining, pappardelle noodles are drenched in a lemon cream sauce that will have you savoring every single creamy bite. Melt the butter in a skillet over medium-high heat. Add garlic and saute until garlic is fragrant Add the crushed chili and stir. Add cream or half and half, and lemon zest. Gently bring to a simmer. Simmer uncovered for about 20 minutes. 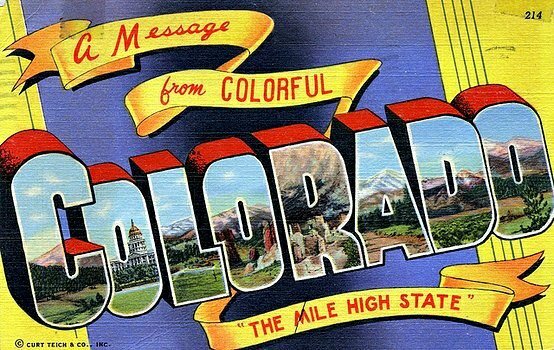 In the meantime, cut the ham into matchsticks or cubes. Add to the cream sauce as soon as you're finished cutting. Cook pasta in 6-8 quarts of boiling salted water until al dente (about 8-10 minutes). Drain, and reserve 1/2 cup cooking liquid. When the pasta is cooked and the sauce is done simmering, add the peas and the pasta to the lemon cream sauce and toss well. Add 1/2 cup of the reserved pasta water and toss again. Add the grated Parmesan cheese a little at a time, stirring on low heat until cheese is melted and sauce is creamy. Serve immediately with a slice of lemon to squeeze on top. When we make lemon-butter-caper fish we generally serve it with pasta so I know I like lemon sauce and pasta. 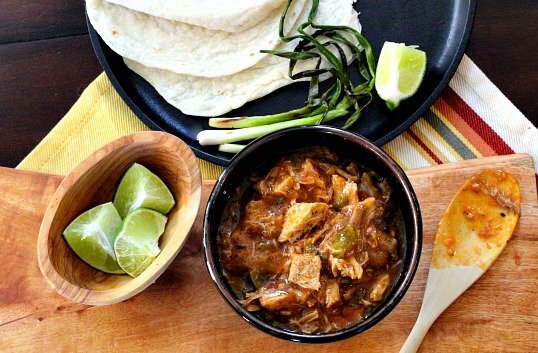 This dish looks outstanding and must be tried soon. The peas give it a nice color and Kentucky Legends is our go to ham. A perfect dish for spring…the lemon is such a nice complement to the peas and ham.